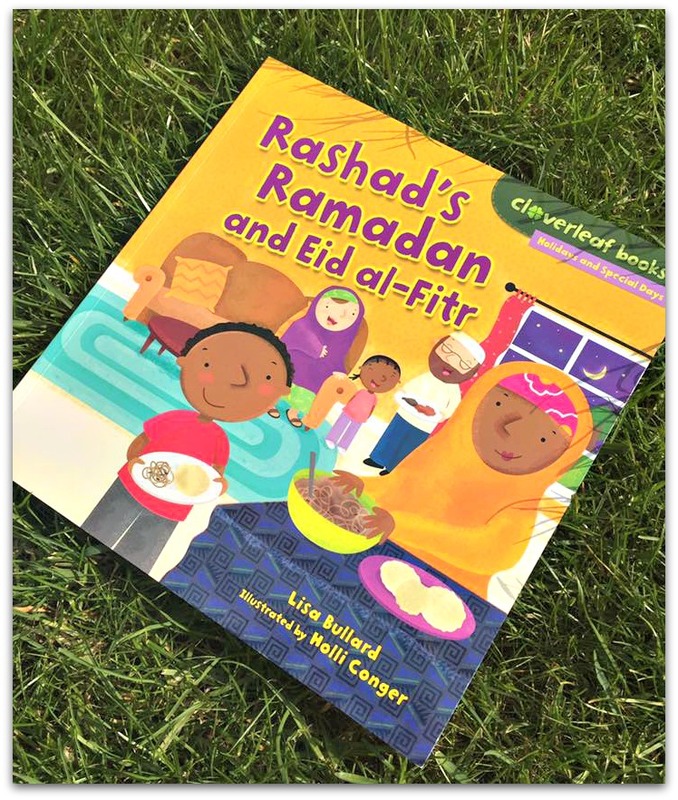 First impressions are that the book is quite short and gives a very basic outline about what Ramadan is, but is ideal for the younger children, and even for those who just want a quick summary about what Ramadan is. 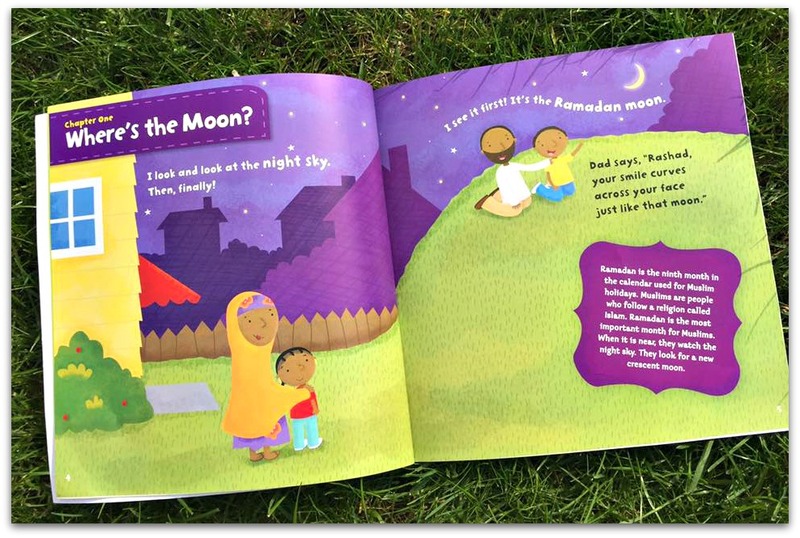 I loved the fact that it started off with Rashad looking for the moon as this is an important part of Ramadan, heralding the start of the month. A man named Muhammad is very important to Islam. Muhammad lived about 1400 years ago. 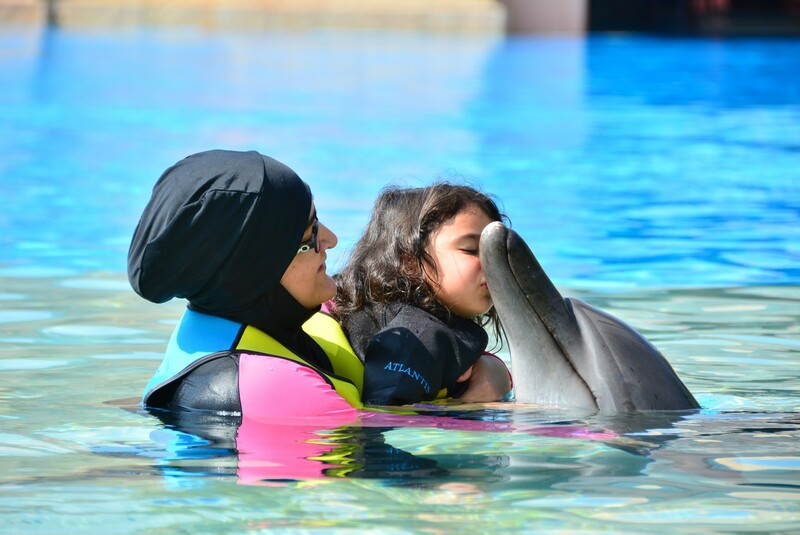 Muslims believe he was given messages from Allah. Muhammad began receiving these messages during the month of Ramadan. The messages became the Muslim holy book, the Koran. The whole book is colourful which will appeal to the younger children. There is also a glossary at the end to help those who may not understand what some of the words used are. 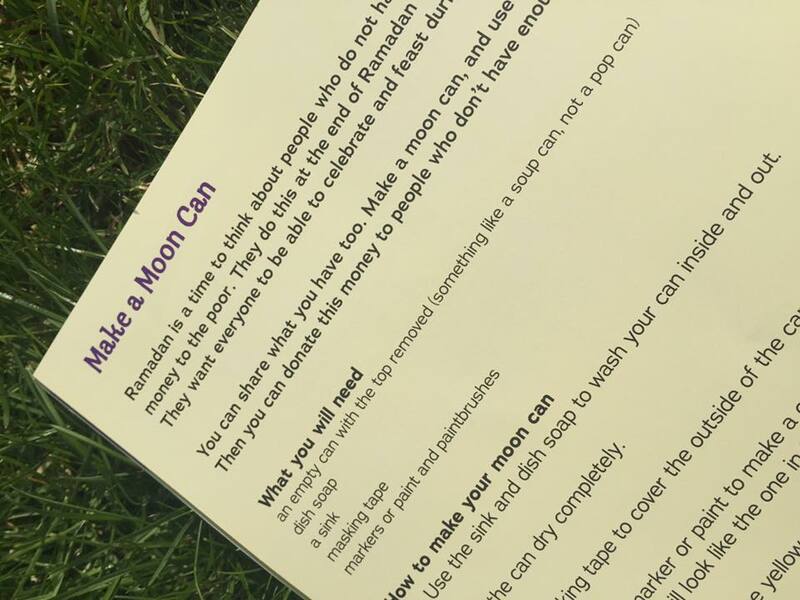 In addition to this, what we particularly liked, is that there is an activity at the end to make a ‘moon cup’ if the child wants to. This is to encourage to save money to donate to those less fortunate. In summary, a short but sweet book introducing the basic elements of Ramadan. This is good. I am always looking for quality books for my kids. Looks lovely. 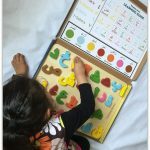 I like the idea with the activity and also the glossary. Holistic approach. The drawings are also nice. I think kids will enjoy this book. I am so glad about the availability of such books in the market now. 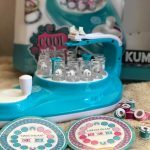 These definitely can make our lives as a mother easier in teaching the Islamic values and educating the children about our religion. When I was a child, there weren’t such books at all. Our children are very lucky indeed! This looks super short and sweet but educational and engaging. 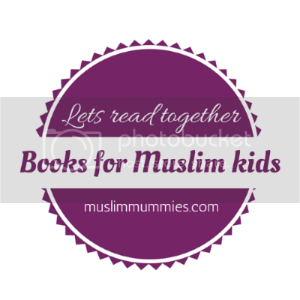 It is a great resource for the young Muslim mind. I’m happy to see such books available today for Muslims worldwide – Alhamdulillah! jazakALLAH for sharing, well, it is probably by a nonmuslim as the spelling of KORAN is not what Muslims write may be there are others also????? but not bad for the information of the public. Thanks for sharing..These kind of books have quality contens for kids.